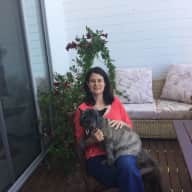 Mature House sitter couple Referenced Experts in Home and Pet Care. We have been married more than 30 years and have owned and maintained our own home during most of that time. After college, Neil had his own business for more than twenty-five years. Laurie has earned two masters degrees and also was self-employed. Now that our children are grown, we are spending time traveling and discovering about lifestyles in other places. We are non-smokers. We have Global Entry status in the US and Nexus in Canada - both require a live interview and extensive and rigorous background checks. We are full time travelers and house sitters. We enjoy house sitting because we like to stay in a place long enough to really get to know it and meet the local residents. We have completed 13 house sitting assignments, as of 2017, with two more scheduled. 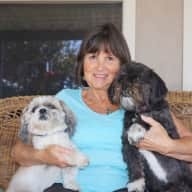 Recent houses sitting assignments have included taking care of a beautiful 4200 sq ft home filled with art treasures, caring for a 12-acre orchard and 1-year-old Jack Russell, and pet sitting for two pair of Shih Tzu crosses. 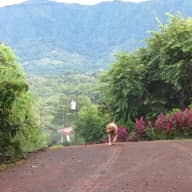 We had three dogs to tend to while house and pet sitting in Costa Rica. We both enjoy spending time learning about and exploring other places and meeting new friends. We believe that adventure in our lives expands our horizons. We both enjoy artistic ventures, photography, writing, and Laurie has been a clay artist, sculptor and painter. 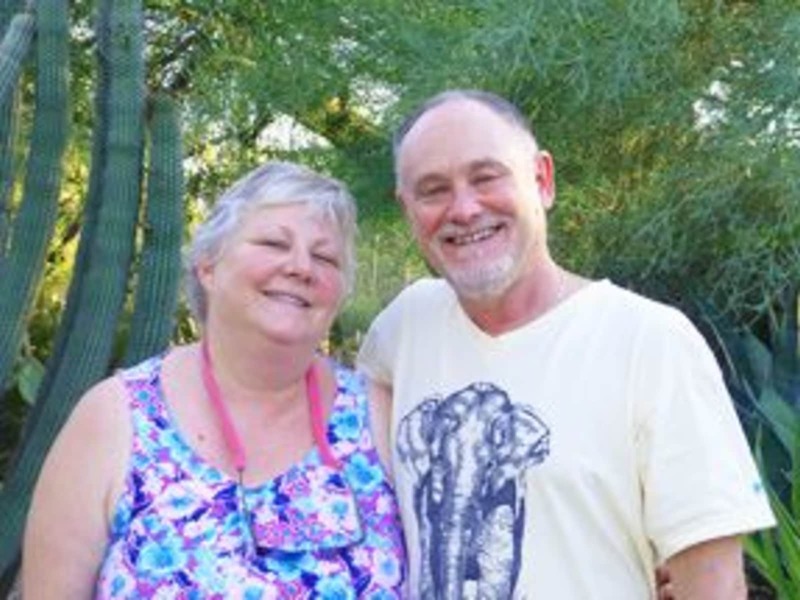 We are both retired and spend some time updating our travel blog at joyfuljourneying. By the end of 2017, we had completed thirteen house sits and thoroughly enjoyed every one. We have gotten to know some amazing folks and cared for thirteen dogs that will live in our hearts forever. We love house sitting and plan to continue doing it for as long as we can. We have also learned that we are perfectly suited to the many aspects of caring for the homes and pets of others and have received rave reviews. You will find all our reviews on our web site at stolmaker dot com. Before we began house sitting we had lived in three different homes that we owned, and learned to tackle almost any homeowner challenge! 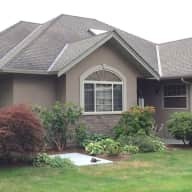 We have had a large swimming pool, cared for a fish pond, raised chickens and a bunny and dealt with a well, septic system and extensive grounds keeping in our previous homes. 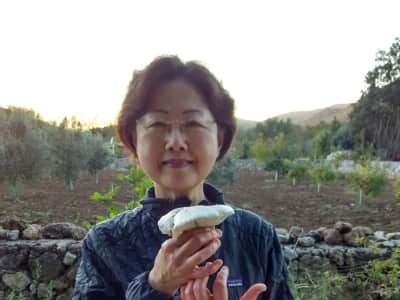 We have always tended a flower and huge vegetable garden and we love to grow organic produce. In our house sitting assignments, Neil has replaced an ionizer in a fish pond, reset electronic appliances after a power outage, changed halogen bulbs, reprogrammed a garage door opener, and reconfigured a well-water pump, to name a few. We love dogs, have owned three and always relish becoming friends with beloved pets. We have also owned chickens, ducks, fish, and some smaller animals, including a rabbit and a rat. We are enthusiastic, friendly, well organized, and excellent at communication. "My wife and I travel every summer and we have had quite a few house sitters. For us, a stress free holiday means having capable and competent people taking care of your house and dealing with any issues that may arise. We didn’t want to be half way through our trip and receive an e-mail saying there was a problem and we don’t know what to do. 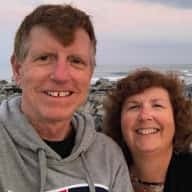 After spending many hours of research on the internet we contacted Neil and Laurie and asked if they would be interested in a 3 month house sit in Powell River. From our initial contact to our final goodbye we knew we had made the right choice with the Stolmakers. We returned from our trip to a spotless house and a fine meal. There simply were no issues as Neil and Laurie had handled everything beautifully. These two people are truly professional house sitters. I’m writing to give the highest possible recommendation to Laurie and Neil Stolmaker. fact, my home was cleaner than when I left! they’d used up, and drove me to and from the shuttle bus stop in both directions. make sure her gums were healing properly. They also called my airport shuttle service to arrange a reservation on a later departure when my flight home was delayed. again when my plans take me away for an extended period. "Laurie and Neil Stolmaker house-sat for us in Oregon City, Oregon for two months in the fall of 2016. Their responsibilities included caring for our standard poodle as well as our house and property. Opening your home to strangers and leaving for an extended period of time is stressful. You wonder what condition your house and property will be in upon your return. With Laurie and Neil, you won’t have to worry. Our home was just as we left it. And, our dog was in great shape. You could tell that everything had been well cared for. While we were absent, they opened and organized our mail. We had regular email communication about the mail items, any outstanding bills, and other necessary business. They kept us appraised of house and dog happenings, but didn’t overwhelm us with trivia while we were vacationing. They watered our indoor plants and did the yard work that we requested. They kept the house clean. Neil took us to the airport when we left and then was there to pick us up when we returned. We really appreciated this. They bought groceries for us so we would have some food upon our return. They also made us dinner and placed it in the refrigerator for us. They left us a nice summary of their time in our home and with our dog. We felt totally comfortable with Neil and Laurie in our home and caring for our dog. In all, they were exellent home carers in all respects. We highly recommend them for house sitting. Please do not hesitate to contact us should you have any questions. 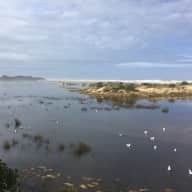 Review from Bev and James - Lake Tyers, Victoria, Australia. What a terrific pet sitting experience!! Laurie and Neil cared for our house, garden and two 13yr old Cairn Terriers for 6 weeks. We felt comfortable with Neil and Laurie from the start in our communications. They asked pertinent questions as we checked in from time to time before the sit and once again felt totally at ease in leaving our place in Neil and Laurie’s capable hands when we met them. Neil and Laurie both immediately established a rapport with the dogs on arrival and took on board routines for feeding, exercise and medication. As the sit progressed they gave progress reports and amended routines to accommodate the dogs’ needs when necessary after consulting with us. How important this is when you are so far away! Neil and Laurie looked after the garden, mowing the lawn, watering, picking produce and even planting new seedlings. It was wonderful to come home to such a well tended garden. 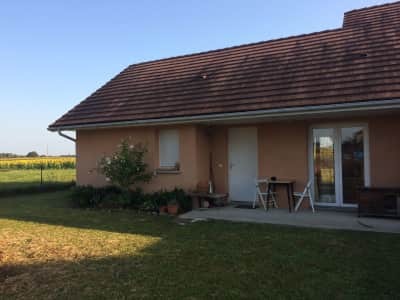 On our arrival home Laurie emailed a comprehensive report as we were unavoidably detained and this gave us information about the house, garden and dogs that we might have wanted to know. The fridge contained a prepared meal and fruit and veg etc. to tide us over until we could go shopping. The house was spotlessly clean and all in order with fresh linen on the beds and flowers. Neil and Laurie’s organisation, extra mile and attention to detail are very professional! Their warmth, ability to know what is needed and positive interest in all around them makes them a great choice to look after your pets and house. Thank you Neil and Laurie for an enjoyable and stress free pet sitting experience culminating in 2 happy and contented dogs. Our warmest wishes for your continuing enjoyment in your travels. Thank you so much! We could not have asked for nicer folks and a lovelier home and dogs! We are new to pet sitting and this was our very first experience doing it. We asked Neil and Laurie to sit our West Highland Terrier only about two weeks before our trip, when our first sitter had to back out; they were immediately responsive even though they were out of country. We thought it was a good sign that they went out of their way to quickly communicate with us every time we had a question; this is a good character trait. Laurie asked us relevant questions about the care of Molly that we hadn't thought to address. Neil took notes so that they would have the right information once they arrived. Their experience was evident and reassuring. After speaking with both of them we felt like we were leaving Molly in good hands. Their resume/experience speaks for itself, and it was a pleasure to hear about their previous pet sits once we met them . They listened to our needs in taking care of our dog and our house/yard, and did all that we asked. We chose Neil and Laurie due to their wealth of experience, their love of dogs, and their calm and steady demeanor. Check, check and check!!! They arrived on schedule, they obviously knew how to care for a dog, and they followed through on watering our plants, taking out our trash, walking and feeding Molly and supervised a service call that had been previously scheduled and texted us when the technician had a question. They left our house sparkling clean, and even had dinner waiting for us when we returned home. They are interesting, nice people who obviously love doing what they do. I look forward to asking them to return in the future when we make further plans to travel. Thank you so much, Bob and Kathy! We loved meeting you, as well. It is gratifying to be so appreciated for the things we do. It was our pleasure to care for Molly and help you to have a great trip. Neil and Laurie did a great job looking after our dogs and house. 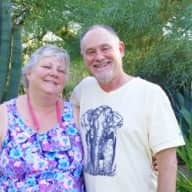 We arranged for our May month long house sit a long time ago and they were great about honouring their commitment and communicating with us prior to and during the sit. They wrote a report for us which outlined how things went and any problems they incurred. They also ensured we had some food in the house for our return... and even left us some salad and a cooked meal. Our two dogs seemed comfortable with them. I am a friend of the home owners of the property that Laurie and Neil looked after in Kendenup Western Australia. We met at least once a week and on every occasion I visited the house I found it clean, tidy and well maintained. The garden, not just flowers and vegetables but an orchard as well, was well maintained. The dog was not only well cared for but also given lots of training as she was just a pup. Laurie and Neil are easy-going, kind and very friendly. They seemed to very much enjoy meeting new people. Relished discovering all the differences about life here in Australia and wholeheartedly became part of our local community. Neil helped me learn more about my computer and Laurie's positive energy was so good to be around. During their six month stay I made new friends and would not hesitate to invite Laurie and Neil to look after my home. They took excellent care of my friends home so I have no hesitation in advising anyone to grab them while they can. You won't regret it! that they have made over the years. caring-always wanting to help others. I've known Neil and Laurie for 2 or 3 years, and have been to their home many times. It's always clean, tidy, and cheerful, reflecting their characters. They are very nice people, and most trustworthy. I would gladly have them housesit for me if I needed that service. Neil and Laurie Stolmaker are both very mature, conscious and reliable people. I would recommend them to handle any situation/environment and leave your place better than they found it! It would be a total win-win for everyone involved. Honest, trustworthy, caring, responsible, tidy and organized, detail-oriented and resourceful are all adjectives that come to mind when I think of Laurie and Neil Stolmaker. Being the kind and thoughtful people that they are, I would be very comfortable and at ease having them take care of my home and/or my children. If any of the above-mentioned qualities are prerequisites, then Laurie and Neil are ideal candidates. I have known the Stolmaker's for many years. I have been to their home many times through the years. I have swam in their pool that they maintain on their property. I have seen how they care for their land and their animals. I would be honored to have them care for my most important assets. Laurie and Neil are truly a great team. The way that I have witnessed them work together-- from house projects, to business endeavors, to simply preparing a meal together--they are a great team and I have always admired that about them. For me, integrity is such an important part of trusting someone and knowing that they will operate with high integrity at all times no matter what circumstances arise. One of the things that sticks out to me about Laurie and Neil is that they both have incredible integrity. I have worked with Laurie professionally and she has the utmost integrity as a therapist--and as a person. I am completely confident that when faced with a decision; she will always "do the right thing"; whatever is the highest good for all concerned. Neil is one of the nicest, flexible and all around good guys that I know. I have known Neil over eight years and is a very reliable person. I consider him trustworthy and professional in all of his affairs. He takes really good care of his home and his possessions. I would highly recommend him for a house sitting position.